I am honored and excited to extend a warm welcome to our members, community partners, friends, neighbors, and all who have an interest in learning more about the Junior League of the Oranges and Short Hills. As we enter into our 105th year of providing services it is overwhelming looking back at all that this league has accomplished. Something that I learned this year by attending the amazing trainings offered by both The Association of Junior Leagues International (AJLI) as well as our very own New Jersey State Council is as a member of AJLI we are a group of more than 155,000 women in 294 Junior Leagues throughout Canada, Mexico, the UK and the US. This is pretty impressive to me and I am quite proud to be a part of it! JLOSH’s mission is to promote voluntarism, develop the potential of women and improve our community through the effective action and leadership of our trained volunteers. JLOSH is focused on addressing the basic needs of low-income children in service area. Our community service work is dedicated to closing the gap on food insecurity, essential clothing needs, school supply gaps and basic hygiene needs of school-aged children living in poverty. We believe that when these basic needs are met with the necessary supplies and educational resources, that low-income children can focus their energy on succeeding in school. Our Community team has been working hard over the summer to present some new community service events throughout the year. We kicked off our community events this year on September 23, 2017 at America’s Grow-a-Row. This was a family friendly event and the produce picked was donated to one of our local food pantries. There will be many events this year with a variety of different times and days to give everyone a chance to get out there into our community and volunteer. In the fall we hosted our fundraiser with a focus on Thanksgiving. The event took place on Friday November 17, 2017 at The Woodland in Maplewood. This was a more causal event then we have hosted in recent years and I appreciate those who embraced this exciting change and supported the wonderful team of ladies who worked very hard this summer to present this new and inspiring event! It was very focused on community and even included an active service element while we had fun and raised funds to support our programming. The League will continue to offer a variety of social fundraising events to support our programming throughout the year. The Junior League welcomes all women who value our Mission. We are committed to inclusive environments of diverse individuals, organizations, and communities. I am happy to announce that JLOSH will continue to partner and train with the Community Coalition on Race which will enhance our training and membership year round. This has been a very rewarding experience for me and I hope you will all join me as we continue to work together. In this New View Review, we reflect on the accomplishments our League has made over the past year. I would also like to take an opportunity to thank you generous Sponsors for their continued support and the many friends and partners of JLOSH who add such value to our organization. 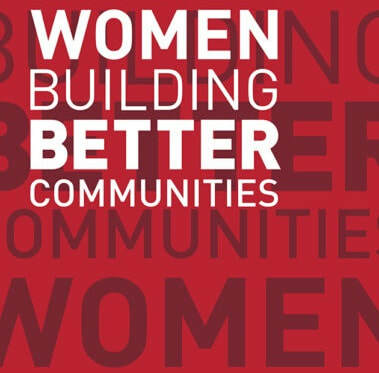 JLOSH has an amazing group of women on the Board of Directors this year and I invite all of you to join us on our journey of making impactful contributions to our community.